In August, I attended the International Polymer Clay Association’s conference, named Synergy4. It was a tremendous experience, for sure, but I wanted to share more with you than just a report of what happened while I was there. Attending Synergy4 was life-changing in some ways. It was oh so validating. And if you are serious about your love affair with polymer clay, I strongly recommend that you find a way to attend the next one. The energy there was just that good. This was the 4th Synergy conference (plus 2 EuroSynergy conferences). For years I’ve heard mention and seen pictures taken at various Synergy events and always felt (I’m going to be honest here), a bit left out. The people in the pictures look like they’re having such fun and the pictures of the art are so good. So I figured there was no place there for someone like me (more on that later). I also had no idea what a conference was. I mean, I knew it was a meeting. But what was it like? What happens at one? I’ll admit that I was pretty darned intimidated and I didn’t have anyone who was going with me. But I signed up anyway and told my family I’d be gone in August. Finally it was time to go. I almost cancelled. What if I walked in and the room was filled with cold shoulders and hard stares? I knew in my head it was silly, but fear was churning inside of me. I had to talk really hard to myself to walk out of the hotel room and into the lobby. But I did it. I thought I’d just sit around all cool-like in the lobby, watching people while I waited to get my registration package. When I went to my very first polymer clay event, where I first met other people who worked with this magical dough, I found out two very important things. One, polymer clayers hug when they meet…even if they’re total strangers. And two, we immediately begin fondling each other’s jewelry. Okay, maybe not everyone. But you get my point. We already have so much in common by the fact we work with this stuff that when you meet other clayers it’s like you’ve been friends forever. There is so much to talk about that you are immediately filled with this warm friendly feeling of kinship. Of community. Because really, we are all part of the same wonderful club, even if we only just met that day. This was completely obvious at Synergy4. People who only knew each other from Facebook comments suddenly rushed at each other from across the room with big hugs and smiles. Many people knew each other by name, but not by face, so once nametags were consulted there would be exclamations and squeals of recognition. “Oh, I know you!” Conversation flew fast and furious as jewelry was examined, techniques and products discussed, and friendships enriched. As we attended talks together, the subjects would spark deep conversation and discussion. The only time I ever saw people sitting alone was when they were just too exhausted to talk. Yes, it was an intense time, and by the end we were all a bit slap-happy and tired. My only regret about going to Synergy4 was that there wasn’t enough time to meet everyone. So many of you came up to introduce yourselves, and I’m thrilled to have met you! But there were still so many people I didn’t get a chance to meet. There were so many conversations begging to be had, so much sharing left to do. The three days were over way too fast! Like I said above, before attending I didn’t really understand what a conference was. There was an opening night meet-and-greet event. We enjoyed general sessions where a speaker talked to the group as a whole. There were breakout sessions where a speaker talked to smaller groups as chosen by the attendees. And finally on the last night there was a dinner party with a speaker and then an auction to raise money. That sounds simple, but it was actually quite intense. On the days before and after the conference, there were also classes (available separately) for those who wanted to take them. There are many pictures of the people on personal Facebook walls, but I can’t find one central place to direct you. My phone finally behaved itself in time for selfies with anyone who was willing. Here’s an assortment of them. And don’t miss this excellent (and picture-filled) report from Beth Petricoin of Create My World Designs. The general sessions and breakout sessions were incredible. The very first day we learned all about the incredible Into the Forest project. It was a hilarious presentation that showed how much work actually is going on by Emily Squires-Levine, Laura Tabakman, and Julie Eakes. The donations of polymer artistry are complete, but there’s still a tremendous amount of work to be done and money needed so the November installation and showing in Pittsburgh can be enjoyed by all of us. Read all about the project at Into the Forest and find out how you can help. Georg Dinkel shared about his incredible “Vunderkammer” creations…fantastical designs that defy reality and leave your mind spinning with….how did he DO that? Mags Bonham shared about her experiments and experiences with using Cameo and Silhouette cutting and engraving machines on raw polymer clay. Maggie Maggio shared her story about trying to teach color (properly) in schools. Ellen Prophater gave us a truly inspirational talk about using mokume gane. Loretta Lam share the stories of people who are courageously facing the challenges of making a living in a creative realm. And finally Jeffery Lloyd Dever chaired a panel discussion centered around the differences in voice between the European and American clay communities. Most of us create alone in our homes. We don’t often have the chance to see what life is like for other artists and creators. We don’t have people to “talk shop” with. So seeing pictures of art and studios, and hearing the stories of these fellow creatives filled me with hope. And passion to create. It also struck me that there were no petty fears of copying or jealous hiding of secrets in this environment. People were here to share and grow…and that’s exactly what we did. I said that attending this event was life-changing, and that’s mostly because I no longer feel alone. Even the “big names” are just people like you and me, trying to find our way while we create. In so many ways, we are all one. One thread that wove its way through everything in this particular gathering of people and discussions was that of collaboration. Now that we have video conferencing (Face Time, What’s App, Skype, etc) and connections with people all over the world, more and more people are coming together to collaborate on projects. Collaboration can mean anything from simple partnerships to online challenges to large-scale international projects like the Into the Forest Installation. Each time people come together over a creative endeavor, they collaborate to create something greater than if they’d worked alone. Along with this comes an energy that rejuvenates, enriches, and enhances both the outcome and the lives of the people involved. Look for opportunities to connect with others in this medium and in this community. You don’t need a formal collaboration to join with others. Just meeting and sharing brings energy to everyone involved. Back to Synergy for a minute. My phone died on the first day, so I didn’t take many pictures for you. But here you can see the pieces submitted for the IPCA’s annual juried show. We got to see the winners announced and a slideshow of the art. Some of the art was also seen at the event being worn by the artists, too. There was also an art gallery display room where we could view and purchase artwork from dozens of artists. I had never before seen some of these artist’s work in person before and to be able to see and feel these phenomenal works was a treat indeed. My wallet got a serious workout and I now have new art in my studio. Yay! If you couldn’t attend Synergy4 but want to purchase some of this art, I suggest that you check out the IPCA’s fundraising auction here. You can view the items and bid. The auction ends September 15, 2017, though, so hurry! 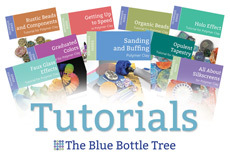 Did you know there is an organization just for polymer clay? The International Polymer Clay Association (the IPCA) states that its mission is to “educate the public about polymer clay, and to study and promote an interest in the use of polymer clay as an artistic medium”. But did you know that there is a ton of things they do? Check out the website here. There is a listing of local guilds there, and a list of workshops around the world you could attend. You also get a subscription to a top-notch digital magazine when you join. The president of the IPCA, Barbara Forbes-Lyons, spoke at Synergy4 about some new changes that are coming to the IPCA in the near future. Join us and be part of this! You are right, Synergy4 was a wonderful, hectic, but fun-filled event and it was such a great way to ogle all of the incredible art created by those we often just know via Facebook! And you are also right in noting that the only regret was not getting to meet everyone. YOU came to mind when I finally got a chance to sit back and think about all of my special moments….ahh, I didn’t get a chance to say hi to you, and to personally thank you for all you do for our community! Oh well, next time! Absolutely…we crossed paths but didn’t get to talk. Yes, next time we’ll make up for it! Ginger it was so wonderful to meet you in person , and who warm reception of everyone I met really made me feel like I have known them forever , I don’t think there was one person I didn’t feel instant kinship with. Wish we would have more time to talk between ourselves . Hope to see you and everyone else soon ! Jan, you’re a dear in real life just like you are online. Absolutely we need a “chatroom” next time with more opportunity to connect and mind-meld. I left feeling sad for all the conversations I didn’t get to have. Wow, sounds like so much fun. Thanks for enlightening me to what Synergy is all about. I’ve heard of it but always thought you had to be a “somebody” or be invited to attend. What an opportunity it would be to meet and learn from some of the masters! Well…the secret is that the masters are just like us. We’re all just goofballs who want to play around with dough all day. But being able to share and learn and absorb from people who also do this…priceless! Definitely join us next time! I loved reading about the Synergy experience through your eyes. I had the same fears too ( and yes!, why do we do that to ourselves?). That’s why it was so great to already have some kind of rapport (via Facebook) with fellow artists prior to meeting in person. When I first saw you, it was like meeting up with an old friend. I hope to be able to connect with you again in person, and hope to attend the next Synergy!! Beth, I’ve loved your work for a long time and it was really great getting to meet the person who holds that amazingly creative mind! That’s it! Just like a strong and whirling wind…but also one that was warm and comforting like wearing your favorite hoodie. Well, we do keep meeting. At this rate we’ll have a full conversation by the time we’re old enough to retire. 🙂 It was lovely seeing you again and I look forward to continuing the conversation! Ginger, you are spot on with this post. Thank you for bringing up my wonderful memories to the surface again. I loved the event and will try to make the 2019 gathering. If you’re not there, we’ll come drag you. I very much enjoyed meeting you and we absolutely need to find more ways to hook up. Oh, that looks like so much fun! Thank you for sharing your experience. I hope the timing of the next one works out so I can attend. I hope so too. I think events like this are too important to miss. Ginger, It was my 1st Synergy as well! It will not be my last! The energy in the room was contagious. I was very inspired by being surrounded by so many creative minds. I’m blessed to have an amazing guild near me. Until I met them you and your blog were one of my only guides into the polyverse( I’m trying to make that term stick! ) lol. I even had to give myself some down time during this event; being around so many kindered spirits was both heart warming and overwhelming at times. I look forward to seeing ypu again! Your first? But you seemed like you knew everyone! Yes, the energy was contagious, and I hope I can keep it with me going forward. I like that term…polyverse…I’ll add it to my vocabulary at once! Carole, I have to say I would have missed out if I had not been in Donna Greenberg’s class with you. You are one very funny, quick witted individual!!! Ginger, I want to thank you for the wonderful report! As Christine said you are a great Reporter! Thank you so much for taking the time to write an excellent report for Synergy experience. I feel very lucky I met you even if we didn’t spend enough time together. Next time! Thank you for so detailed article!! Ginger – Thanks for sharing. Maybe one of these days, when I have had a lot of VERY successful shows, I will be able to attend. I’d known them forever. You being one of them, of course. I am so thrilled I attended. It was a one in a life time event. I’m so glad we got to hang out. I really had fun with you!